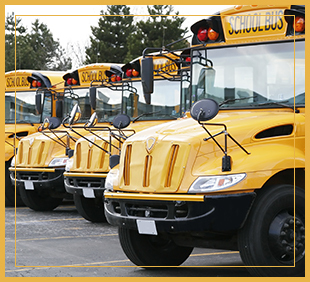 At Mobile Elementary District, we’re proud to offer safe, reliable transportation to our students and staff. We take measures to ensure the safety of all occupants in our buses and district vehicles. Our students listen to the bus driver and follow the rules at all times. Our bus drivers all possess their Commercial Driver’s License and have passed the State Bus Driver Certification. Our vehicles receive regular maintenance and safety inspections. Please contact our district office with any questions. These are the only bus pick-up and drop-off stops on the schedule; however, the times may vary as we go through the year. Morning times indicate the time the bus will leave that bus stop. Please remember to be 10 minutes early at your bus stop!